A synchronicity is a "meaningful coincidence", but it is so much more than that. A synchronicity can be defined as two or more events that are not connected by the usual linear 'cause and effect' and are unlikely to happen by chance, yet occur or connect together in a meaningful way; it is the connection of an internal event with an external event. When a synchronicity happens it can bring with it a strange and unusual feeling or sensation, and it can also bring excitement, curiousity and even clarity about a personal situation. A common synchronicity involving twinflames and soulmates is the 11:11. Synchronicities seem to dissolve the boundary between the subjective and the objective reality. 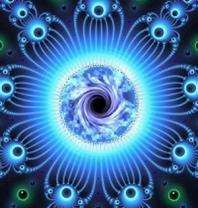 Synchronicities can seem like 'multi-dimensional' coincidences. The circumstances that make up or result in a synchronicity involve anything or anyone, in any space or time. In a synchronicity, the past, present and future seem to be merged together in a single moment in time that often defies logical explanation and touches upon the heart of our being. A synchronicity shows the connection between the consciousnes of the observer and the reality that is being observed at any given time. Synchronicities reveal the meaningful correlations between the events of the subjective (inner) world, and the objective (outer) world. Synchronicities give us a glimpse into the invisible inner workings of the mind and pierce the subtle veil between the conscious and the unconscious; they reveal the seemingly hidden nature of reality and shows us the inter-connectedness of all things. Synchronicities are very personal and symbolic to the individual experiencing them. Something that is a synchronicity for one person might not make sense (or may seem like just a coincidence) to another. Synchronisties can also happen collectively and can be observed in external world events. Synchronicties can be happening all the time. The more self-aware and 'tuned in' one is, the more they will experience synchronicities around them. Powerful synchronicities will often show up in a persons life during any period of change or transition. They can also happen during periods of deep soul reflection, often bringing a profound shift in consciousness as a result. Synchronicities can happen around the time of any major event that takes place in life, or whenever there is a powerful soul connection with another individual. Experiencing synchronicities right before or soon after meeting a soulmate or twinflame is very common. Synchronicities can be seen as guidance that is coming from a higher source, or even as reflections from one's own subconscious mind. Sometimes, synchronicities can appear as answers to important questions that one may have been asking. When one has a question or focuses on a problem inwardly, often a synchronicity will appear soon after that will reveal the solution to the problem or outwardly answer their question. Synchronicities can act as signs, messages, and even warnings. They can guide someone in a certain direction in their life or help them to make positive choices on their personal path. Often 'miracles' are delivered through synchronicity. The key to understanding the meaning of a synchroncity is to pay attention to them whenever they happen. Try to see what (or who) the synchronicity connects to within your life. Take notice of what events took place recently, or what you might have been feeling or thinking about around the time when the synchronicity occured. You can experience synchronicities more often by paying special attention to them whenever they do occur, and also by becoming more aware of your inner world (thoughts, feelings, memories, dreams, etc.,) and by observing the subtle and symbolic details of the outer world (the environment, other people, events, songs playing on the radio, etc.,). Synchronicities can involve anything imaginable, such as events, people, numbers, colors, emotions, memories, conversations, dreams, or anything at all where there is a personal and meaningful connection to the experiencer. 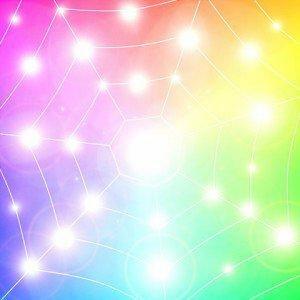 Sometimes when one thinks about the personal experiences they have had in their past or currently in their life, they might discover many things that connect in synchronistic ways. Synchronicities often occur to get us to 'pay attention' to something, but sometimes paying attention can get us more synchronicities! The meaning of the 11:11 Synchronicity in soulmate connections. About synchronicities in a twinflame union. More about the meaning of synchronicities explained. About the synchronistic meaning of different numbers.